An early masterwork heralding great things from the young Mozart. Why See Lyric Opera of Chicago - Idomeneo? Mozart's early masterpiece Idomeneo makes a long awaited return as part of the Lyric Opera Of Chicago's diverse 2018/19 season. The great composer's heavenly libretto was written when he was just 25 years of age, yet is imbued with musical maturity and eloquence. Don't miss this dramatic staging by the late, great Jean-Pierre Ponnelle, starring American lyric tenor Matthew Polenzani in the title role. 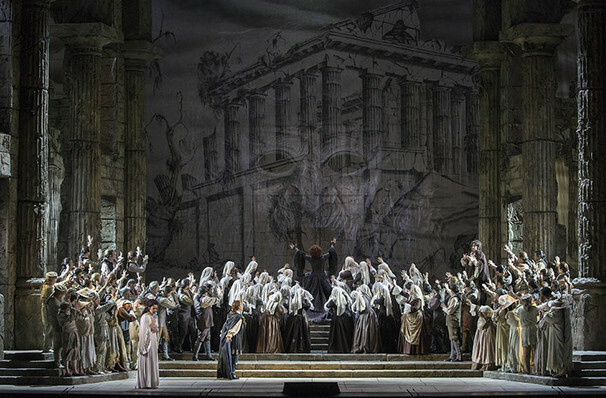 Based on the ancient Greek story, the inventive opera follows the noble king Idomeneo. After being shipwrecked, Neptune sees him safely to shore, on the condition that the king must sacrifice the first person he lays eyes on. The ruler is cast into turmoil when he first meets his son Idamante, risking the ire of the gods if he does not do the damnable deed. 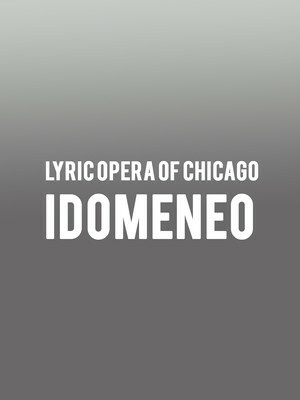 Seen Lyric Opera of Chicago - Idomeneo? Loved it? Hated it? Sound good to you? Share this page on social media and let your friends know about Lyric Opera of Chicago - Idomeneo at Civic Opera House. Please note: The term Civic Opera House and/or Lyric Opera of Chicago - Idomeneo as well as all associated graphics, logos, and/or other trademarks, tradenames or copyrights are the property of the Civic Opera House and/or Lyric Opera of Chicago - Idomeneo and are used herein for factual descriptive purposes only. We are in no way associated with or authorized by the Civic Opera House and/or Lyric Opera of Chicago - Idomeneo and neither that entity nor any of its affiliates have licensed or endorsed us to sell tickets, goods and or services in conjunction with their events.